I’m always excited when I have contributors to the site. It’s something I don’t do often enough but that will change in the future. This week Gill Alexander, AKA Betting Dork, offers a little fun to the site. A couple weeks ago I mentioned that the initial proposal for the New York Mets Citi Field came with a casino attached to it. That proposal was shot down by New York City before it even reached Major League Baseball for approval. 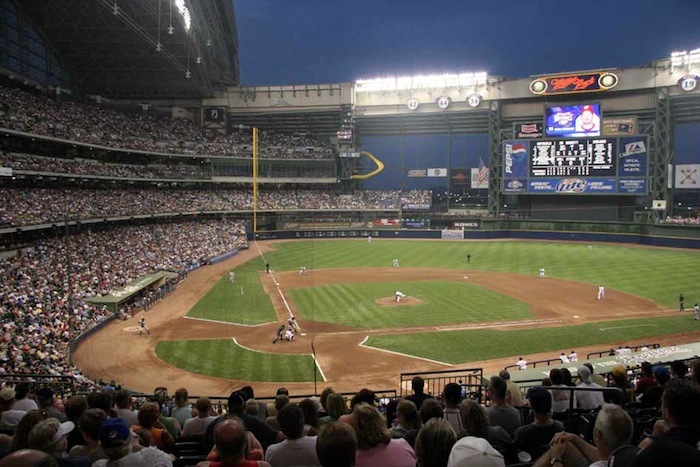 Gill looks at a few Major League Baseball stadiums that could use the addition of addition a casino. Even though some of his takes seem tongue and cheek a lot of what he has to say rings true. You can download the awesome Betting Dork Podcast (If you follow me on twitter you know how much I enjoy this podcast) or visit Dr. Bob Sports to learn more about Gill and follow his baseball picks. According to court papers in the NCAA v Christie New Jersey sports betting case, Bud Selig’s shocked, appalled, and in disbelief that people bet on baseball? Well now that daughter Wendy’s not around to snitch, he’d never, ever believe the video poker machines on the back of every seat at his old team’s ballpark.